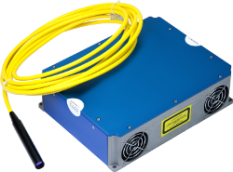 The GEVEL is a compact CW fibre laser delivering up to 20 W of output power, through a near diffraction limited linear polarised beam (M²<1.1). The narrow linewidth of this fibre laser makes it unique and an optimised light source for all optical tweezing applications. The all fibre design guarantees the robustness of the laser, without any optical parts to align or to stabilise. The simple integration of the system requires no after-installation service. The GEVEL is the ideal solution for a broad range of scientific applications.